"There is today a pronounced and accelerated convergence in architecture. This convergence is occurring by doers not thinkers; in practice not academia; in building design, fabrication, and construction. It is about solution-centric individuals engaged in real time problem solving, not in abstractions. The nature of this convergence, where things are converging and what that means for architecture, is the subject of this book." Those working in architecture and engineering feel pressure to work faster, at lower cost, while maintaining a high level of innovation and quality. At the same time, emergent tools and processes make this possible. Convergence is about the firms, teams and people who thrive in this environment as a result of their ability to creatively combine and innovate. It seeks to answer several timely questions: What are the tools and work processes that are converging? How are individuals and organizations converging their tools and work processes? What challenges and benefits are they seeing? What is the ultimate endgame of this convergence? What skillsets and mindsets would someone need to develop to work effectively in this changing environment? What are the implications of convergence on the role of the designer, and on design? On how we design, build, fabricate, and construct? On how we work? 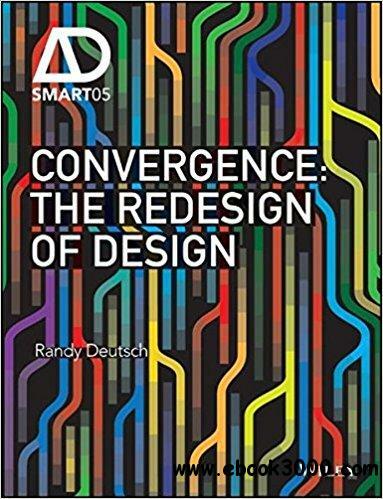 The book explains how convergence relates to, but ultimately differs from integration, consolidation, multi-tasking, automation, and other forms of optimization. The practice-based research builds upon the author s research in BIM and in the collaborative leveraging of data in design and fabrication. As an investigation and meditation on the impact of technology on the education and making of design professionals Convergence explains what is happening in the world of design, and discusses the implications for the future of education, training and practice.